Just within less than a minute walking distance from Department of Caffine, is another totally different type of cafe opened by a Traditional Chinese Medical (TCM) Clinic, Ren Hai Clinic (仁海堂). 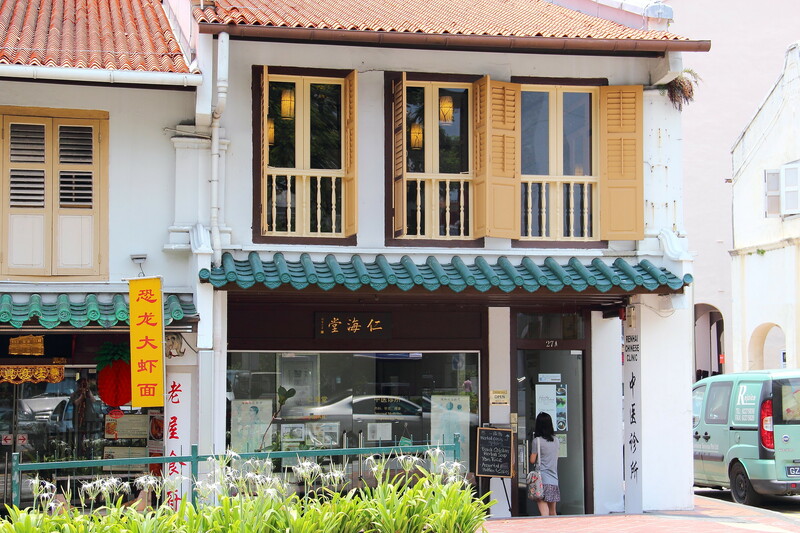 The cafe, Herbal Oasis (一盅汤) is located on the 2nd level of the 2 storey shophouse with the TCM clinic on the first level. The cafe serves nourishing and healthy set lunches and teas in a cozy and relaxing environment. 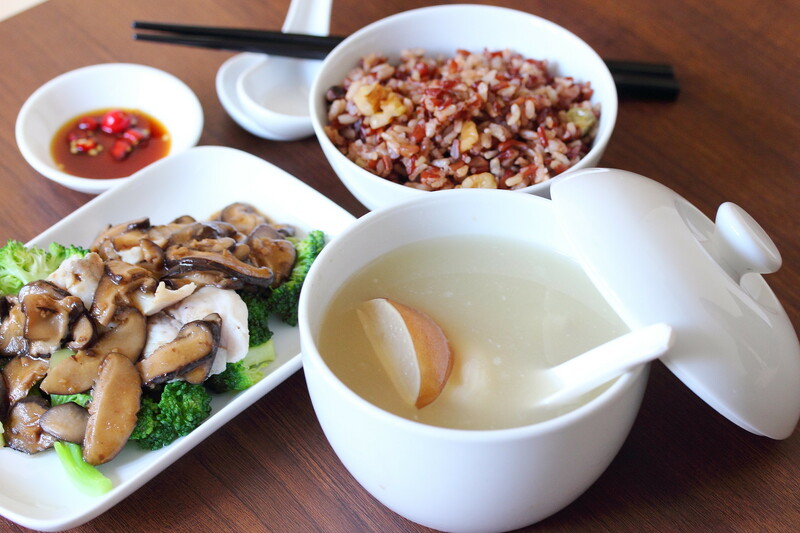 Herbal Oasis (一盅汤) offers a valuable and healthy Set Lunch from $15 onwards that incorporated the benefits of traditional chinese medicine in the dishes. The set lunch comes with a choice of rice, soup and main, with a top up for $5 to complete the meal with a dessert and herbal tea. Although there are 4 choices in the rice selections, only the Yam Rice ($4) and Walnut Brown Rice ($4) is available when I visited the cafe. Between the two, I preferred the more flavourful yam rice with chucks of yam with its low glycemic index that can help to control blood sugar. 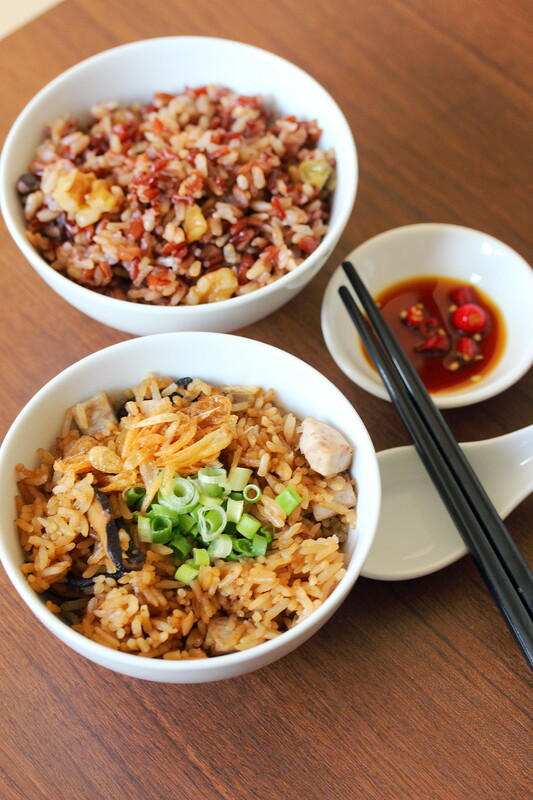 The walnut brown rice with raisins may not be as fragrant but comes with a delightful crunchy bite. The other 2 options available on the menu are Olive Rice and Pumpkin Rice. There are 6 types of soups available on the menu which are Black Herbal Chicken Soup ($8), Snow Pear with Fig Soup ($6), Almond Aloe Vera Herbal Soup, Bitter Gourd Cooling Soup, Old Cucumber with Duck Soup and Qi Tonic Chicken Soup. 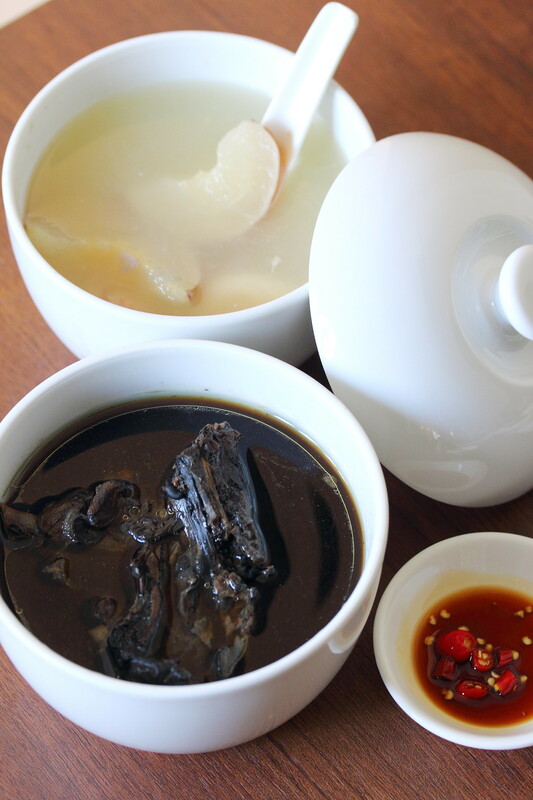 We tried the black herbal chicken soup which is a booster for qi and blood that helps vitality and rejuvenation. The snow pear with fig soup and almond is good for those that has a troubled cough. 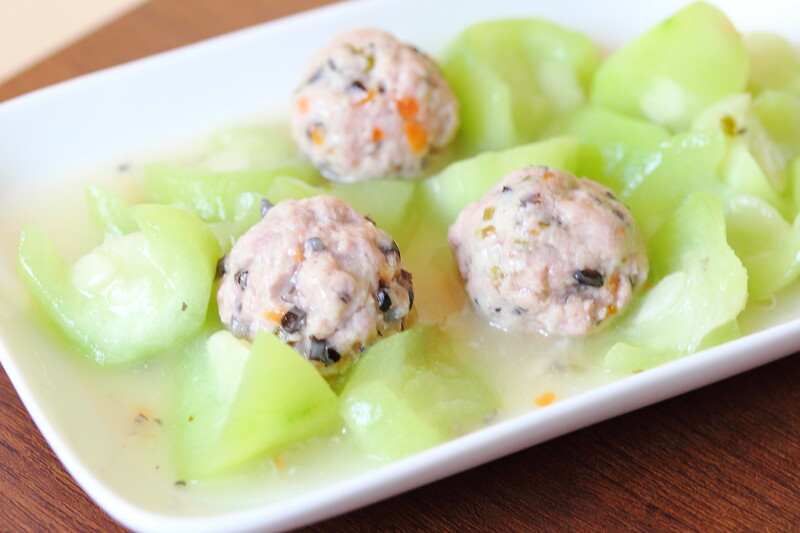 The light and refreshing soup will help to nourish the lung and clear the phlegm. Same as the soup menu, there are 6 choices for the main dishes. 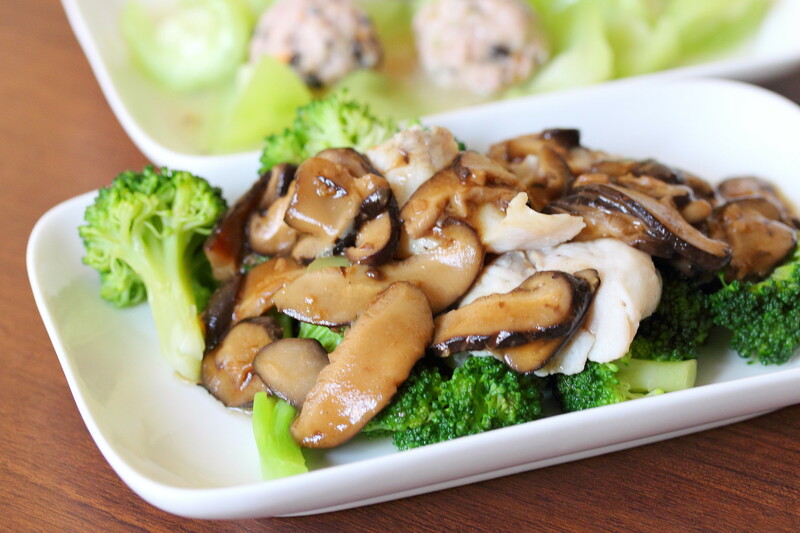 They have Asparagus with Black Fungus and Lily Bulbs, Broccoli with Fish & Mushrooms ($9), Celery with Walnut & Black Fungus, Fish with Danggui & Mushrooms, Luffa with Black Fungus Meatballs ($9) and Poached Spinach with Wolfberries ($7). 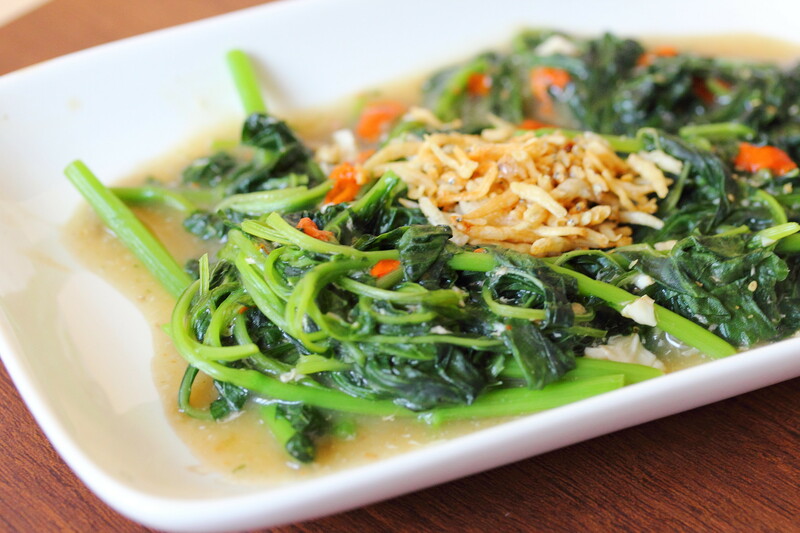 If you noticed, every main dish comes with a green for a balanced diet. The seasoning is not very heavy but yet tasty. 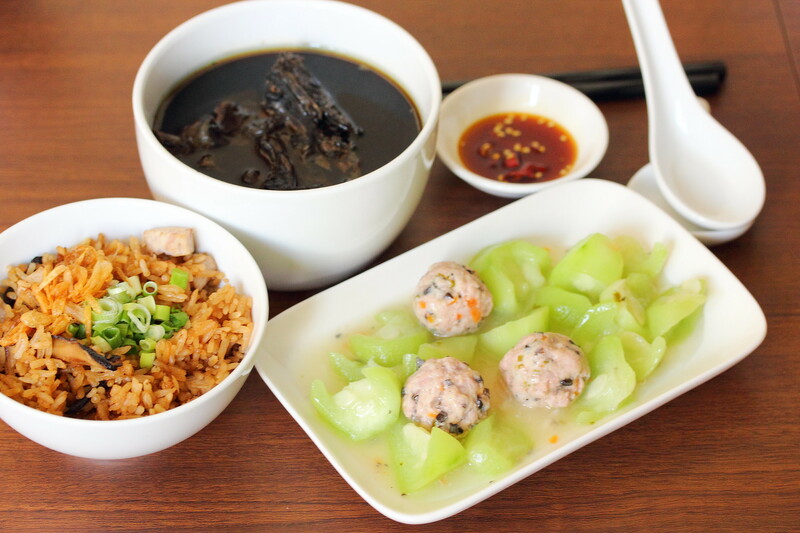 I am a person that needs my meat so if given a choice among the three dishes I tried, I would go for the Luffa with Black Fungus Meatballs or Broccoli with Fish & Mushrooms over the Poached Spinach with Wolfberries. Too full for a proper meal? 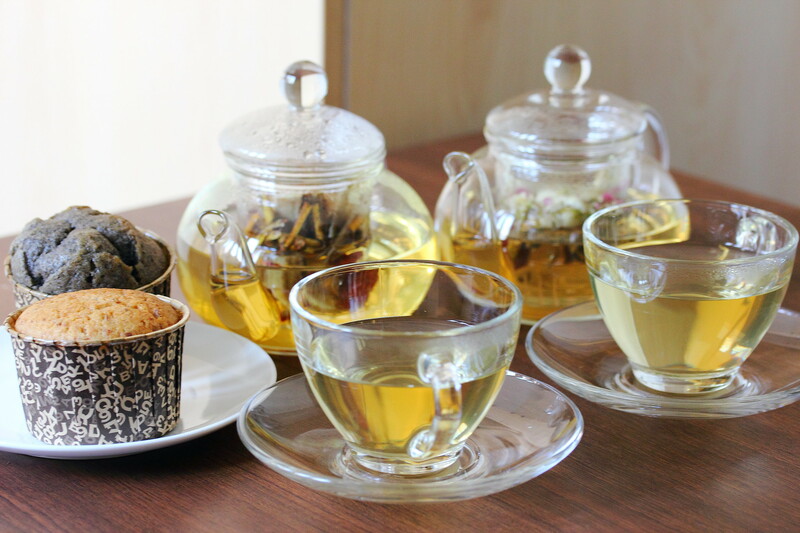 Herbal Oasis also offers a value for money Afternoon Tea Set ($7) that comes with a Herbal Tea and a Dessert. Beside the brew of the day, a range of health benefit teas are available on the menu such as the Nourishing and Claming Tea, Noble Tea for Rejuvenation, Clear Vision Tea and Complexion Enhancing Tea. 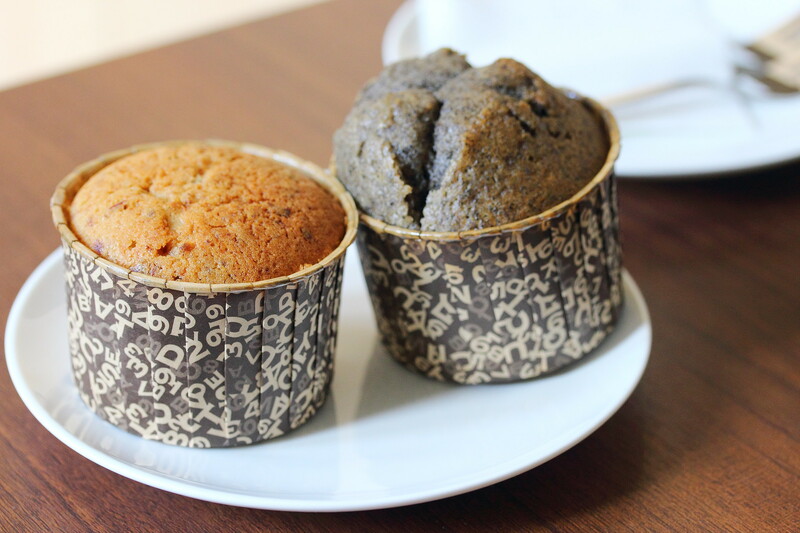 Add on a dessert such as the Red Dates Muffin, Orange Muffin, Black Sesame Muffin with Lemon and Banana Walnut Cake to complete the afternoon tea. Eating healthy does not mean that one has to eat bland and tasteless food. Ren Hai Clinic (仁海堂) with its traditional chinese medicine knowledge has specially created these nourishing and health benefit dishes that is not only delectable but promotes health living through natural means and daily lifestyles. My only disappointment and also my worry for the cafe is their menu. A lot of the items were not available during my visit. The menu is already small, further with limited items this deprived customers from the choices which they supposed to be entitled. Hopefully this is one off as the food is really not bad. URGH, I've written and scheduled this post. But you still came out first. By the way, this is a great write-up, and great photos too. Yes finally beat u to it.